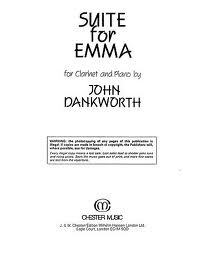 A five movement work which took 25 years to mature into its concertino form from its conception on a train journey in 1926. While studying with Kodaly at the Music Academy in Budapest, Hungary, Mátyás Seiber developed an interest in medieval plainchant and folk music which was to influence his later composition. At the age of 22 he moved to Frankfurt to take up a lecturing post and it was there that he established the first academic study of jazz, in the early 1930's. Seiber joined a ship's string quartet as cellist to escape the growing threat of Nazism and settled in London in 1935 where he joined the staff of Morley College to teach musical appreciation. 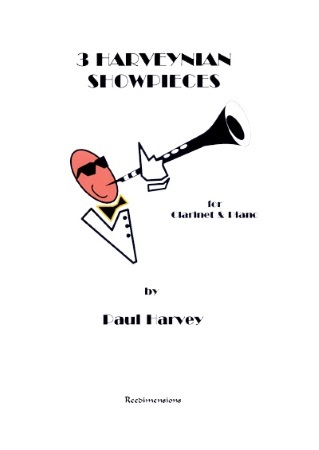 By the late 1940's, he had built up a considerable reputation as a home-based composition teacher and composer and attracted students from all over Europe and beyond. 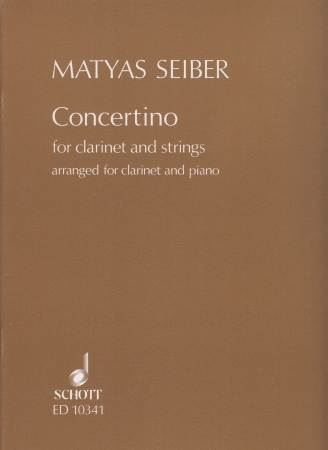 Seiber's composition was subject to a wide variety of influences including the work of his compatriots Kodaly and Bartok; Schoenburg and Serialism; folksong; jazz; film scores and lighter music. He died as a result of a car accident in 1960 while on an invited lecture tour in South Africa. 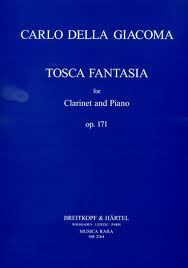 The Concertino for Clarinet and Strings is said to have its origins in a Divertimento for clarinet and string quartet which was sketched on a train between Frankfurt and Budapest in 1926 - 'train rhythms' may be found in the opening Toccata. 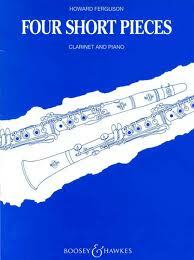 It was not scored in its present form until 1951 and published in 1953. The work reflects Seiber's interest in neoclassicism, which was fashionable at the time and the first movement Toccata is in modified sonata form with a brief development and recapitulation which employs Serialist technique. The 'Variazioni semplici' are simple variations on an attractive Hungarian sounding tune and are followed by the rather biting Scherzo with strong jazz references. The 'Recititivo' is an atmospheric, folky piece, reminiscent of Bartok and his influence can also be heard, with Kodaly's, in the quick dance of the Finale whose coda hints at the end of the train journey in the Hungarian capital.